You don’t so much talk to Bill and John about their business, as bask in the white heat of their passion. They radiate enthusiasm. It’s infectious. The product? A twist on garden decking, called iDecking. 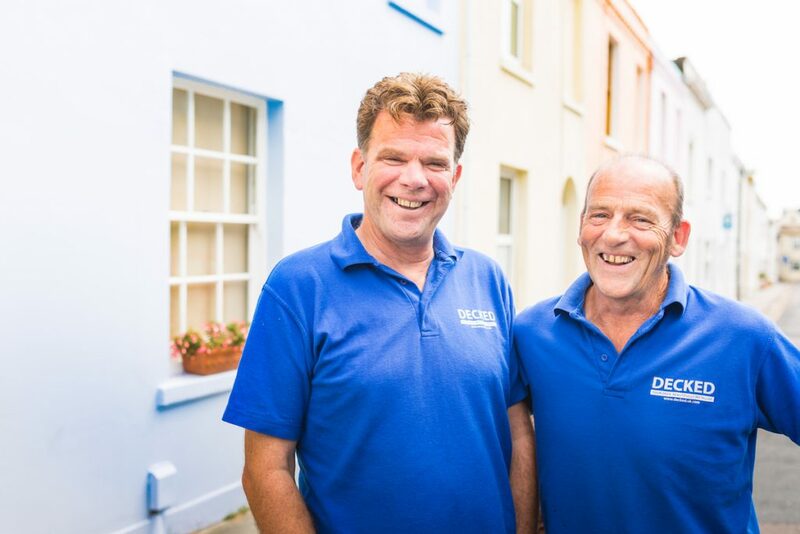 “I’ve been in the building trade for forty years on and off,” explains John. Then suddenly – boom! “I was installing a large balustrade which required a new decking to be put down.” Only this time, the decking he was asked to fit was a little different. It was an Italian system that he’d never seen before. It’s essentially a product that will not rot. He sensed a golden opportunity. So he dashed over to a mate who he knew would share his passion – Bill. The pair are a perfect match. John’s the experienced carpenter. Bill the business brain. Together they founded DECKED, and came up with a strategy. Step one: begin with caution. “With building, you don’t jump in,” says John. “You wait until you are 100 per cent certain of the whole thing.” The pair secured a unique working relationship with the novel product’s importer, Wallbarn, and kept the commercial structure lean. At the heart of it all is a product they love, and the joy of working with a friend who believes in it as much as you do. The pair have gigs lined up all over Sussex, in Jersey, a huge job in London. The hunch looks like being proved a winner. Is there anything they wished they’d known before starting?